Welcome to the website of Sisters of Our Lady of Fatima, Pune, India. Here you will find a brief history, Statement of identity, Goal, Mission, Formation, Houses and all, other information about our Congregation. Sisters of Our Lady of Fatima is an Indian Missionary Congregation with over 430 Sisters having 82 communities working in 28 Dioceses of India, mostly in the rural areas. God in His goodness has brought us together as a Religious Congregation to experience His intimate love and life and that we in turn share the same with more and more people. 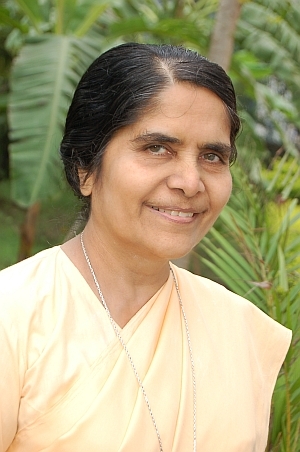 As women of God at the service of people, we are called to be deeply united with God and reach out to weaker sections of society through catechetical, social, educational, medical and other humanitarian works of charity, living in accordance with the spirit of Fatima message of prayer and sacrifice. We are just a drop in the ocean of God's creation, yet as a religious organisation we would like to link ourselves in love and prayer to the world and especially to the needs of the Church. Thank you for your love and prayer. God bless us all! Karnataka on 8th Feb. 1893. St. Francis Xavier's Convent, Bellary.